Paris has a vibrant and creative theatre scene and there are over 50 theatres in the city. 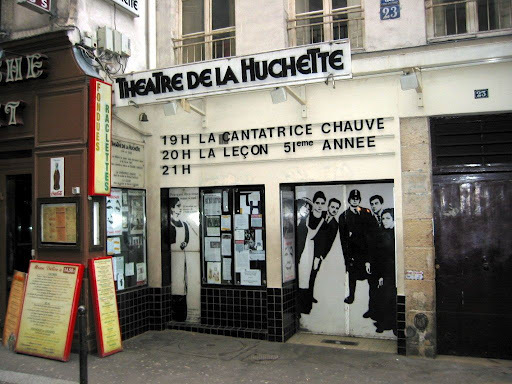 Most of them you may not have heard of unless they produce something that gets translated into English and finds its way onto an Irish stage, but one theatre that features in virtually every guide book of Paris is the Théâtre de la Huchette in the Latin Quarter. From the outside, it looks like a curiosity from another era; one that should have closed down many years ago. In some ways, that’s true and the danger now is that it may be forced to closed down. Since 1957, the little theatre has been running the same two Eugène Ionesco plays in their original format; namely The Bald Soprano (La Cantatrice Chauve) and The Lesson (La Leçon). This unique feature alone has put the theatre on the world stage, even earning it a listing in the Guinness Book of Records. But the mythical theatre which has just 90 seats is going through a difficult time. A recent rise in rental charges has, according to Hazemann, put the meeting of its financial obligations beyond reach. Hazemann is referring to a scenario that played out only a few weeks ago, when the closure of the theatre was only avoided thanks to donations coming particularly from 200 members of the Amis de la Huchette, as well as from show-biz personalities such as Alain Decaux and Jeanne Moreau. In parallel to the marathon Ionesco plays, the theatre also showcases contemporary dramas. It might be a good time to book a seat the next time you’re in town. 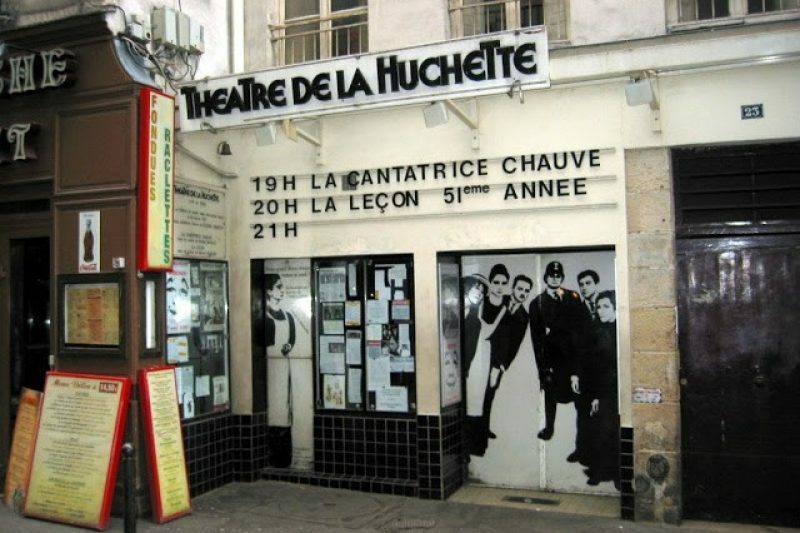 Even if you don’t understand French, the opportunity to say that you went to a Ionesco play in the Théâtre de la Huchette may not be around for much longer.